The GAC Group 2014 ITTF World Tour, Airports of Regions Russian Open starts tomorrow and the biggest stars have their mind sets on a big goal. The prestigious US$ 1,000,000 Grand Finals to be staged in Thailand’s capital city in December is getting closer and leading names are looking for the chance to make step forward or to justified their places. The ultimate goal is a top 16 place on the Standings and thus, provided appearances in a minimum five ITTF World Tour tournaments during the year have been completed, an invitation the prestigious end of year event can be expected. Germany’s Dimitrij OVTCHAROV, Japan’s Jun MIZUTANI and Portugal’s Marcos FREITAS alongside Japan’s Koki NIWA occupy the top four seeded places on the current Men’s Singles Standings. Jun MIZUTANI occupies third spot on the Standings but the two players ranked higher, China’s XU Xin and FAN Zhendong are not on duty in Ekaterinburg; each has only appeared on three occasions on this year’s GAC Group 2014 ITTF World Tour. Neither is competing in Russia and with only one other tournament remaining on the this year’s calendar, the GAC Group 2014 ITTF Swedish Open, neither of the Chinese stars can qualify for Bangkok. 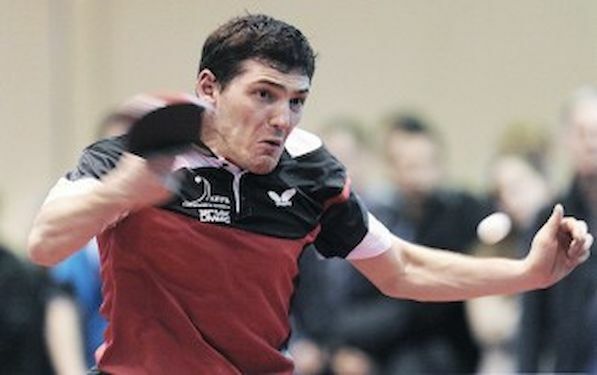 Dimitrij OVTCHAROV and Marcos FREITAS both have currently appeared in three GAC Group 2014 ITTF World Tour tournaments; both are on duty in Russia and both have entered the GAC Group 2014 ITTF Swedish Open. Dimitrij OVTCHAROV is one place behind Jun MIZUTANI on the Standings and, in terms of those who have completed the qualification criteria, Marcos FREITAS is next in line.Complete the five tournament criteria; Marcos FREITAS, Jun MIZUTANI and Dimitrij OVTCHAROV are undoubtedly Bangkok bound. Host nation representative Alexander SHIBAEV is the no.12 seed and by playing in home soil, he will meet the five tournament criteria by competing in Ekaterinburg as will Alexey SMIRNOV, the no.24 seed. Meanwhile, Kirill SKACHKOV is the no.18 seed and has met the five tournament requirement as has Grigory VLASOV, the 25 seed. In order to secure Men’s Singles Bangkok invitation all will need to produce outstanding performance; taking into account the potential list of eligible players, all four are outside the top 20 names.